Please click here to download the Call for Papers in PDF Call For Papers (PDF). The ever increasing market penetration of smart-phones, tablets, Netbooks, IoT and wearable devices, along with the ubiquitous availability of wireless networks are deeply influencing the way people live, work, interact, and socialize. However, the broad popularity and diffusion of innovative services and applications tailored at mobile users who are both services consumers and big data producers are also raising challenging research issues that require us to rethink available network and services technology solutions to meet the emerging needs of a broader and ever growing user base and voluminous network traffic. Authors are required to submit fully formatted, original papers (PDF), with graphs, images, and other special areas arranged as intended for the final publication. 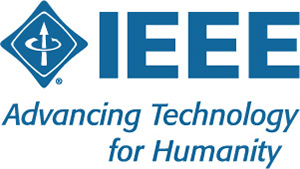 Papers should be written in English conforming to the IEEE standard conference format (8.5" x 11" - US letter, Two-Column). The initial submission for review will be limited to 8 pages. The final manuscript for publication will be limited to 8 IEEE pages. Additional charges may apply for additional pages. Conference content will be submitted for inclusion into IEEE Xplore as well as other Abstracting and Indexing (A&I) databases. Each accepted paper must be presented at the conference by one of the co-authors or a third party, otherwise it will not be indexed and archived through IEEE Xplore. Only timely submissions through EDAS will be accepted. Only timely submissions through EDAS will be accepted.